Whew, even with a shorter work week it still felt long so TGIF. 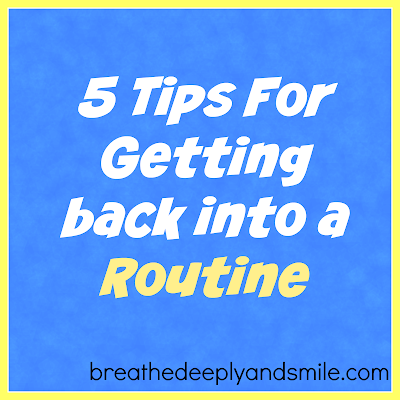 This week has flown by and all I really feel like talking about are all the yummy snacks I've been eating. I didn't pack lunches or plan meals this week (oops) so I did a lot of snacking! 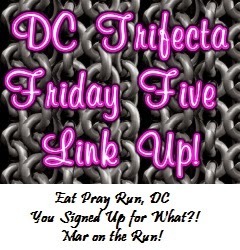 I'm joining the DC Trifecta Friday Five linkup since the topic was a freebie today. I stocked up on some food this week plus got a few surprises that I can't wait to share. Even though it's still officially spring, with warmer temperatures post-Memorial Day it's been feeling like summer. That means I'm in the mood for one of my favorite fruits-watermelon! My parents hooked me up with a huge bag of watermelon chunks that no one at the house was eating (um, why? ), and it disappeared last weekend before I could snap a pic, oops. 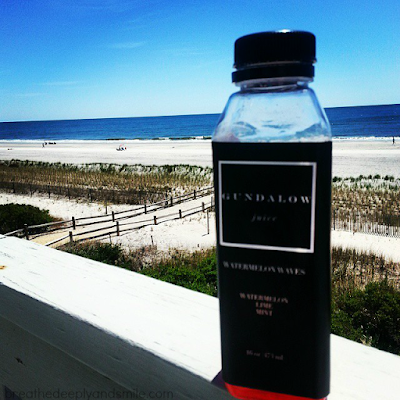 Also over the holiday weekend I enjoyed post-beach run Gundalow Juices in my new favorite summer flavor Watermelon Waves, which is watermelon juice with lime and mint. It's so refreshing and delicious. I seriously have more snacks and popcorn from Lesser Evil than I know what to do with. Seriously if you are in the Baltimore area and want me to share the wealth, message me! 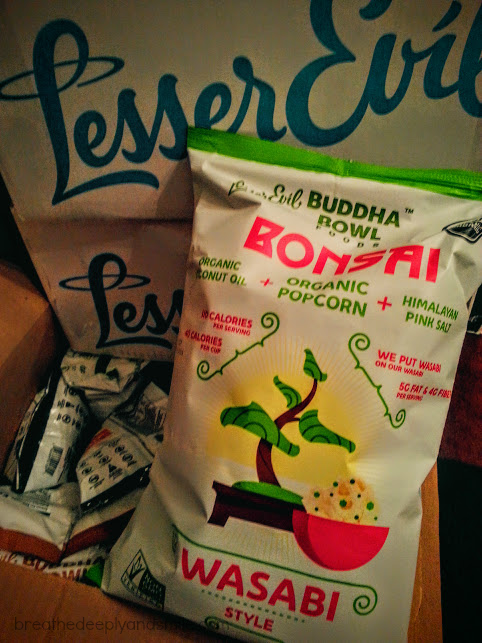 This week they sent me their brand new flavor of popcorn-Wasabi style Bonsai. I love wasabi with my sushi so I was excited. My first handful tasted super spicy like whoa-they didn't hold back on the wasabi flavor at all! It has one a kick right off the bat, but the spice/heat doesn't linger or build in your mouth as you kept eating. After the first handful the spiciness wasn't as in your face. It's 40 calories per cup, non-gmo-, gluten-free, and delicious! If you love wasabi you need to get your hands on this. 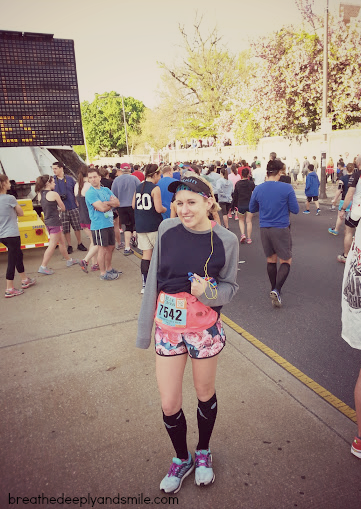 I ran the DC Rock 'n' Roll Half Marathon in 2014 and thought the race was just okay. I honestly wasn't planning on running it again this year until I found myself with a Rock 'n' Roll Tourpass (thanks to being a Rock 'n' Blogger) for 3 races with not much money to travel far. While I appreciated the course a lot more this time around, overall it was a crappy race for me. Mostly because of the cold, rainy weather. This is partially a pity party because I was not enjoying myself for most of the race so apologies if that's annoying. I'm pretty sure this race used to be the National marathon and 1/2 but officially is now the DC marathon and 1/2. I'm luckily my best friend lives in D.C. so I always crash at her place the night before any races I run in the area. I headed down to DC after work Friday and just the trek was much less unpleasant this year since the expo was at the Convention Center not the Stadium Armory. 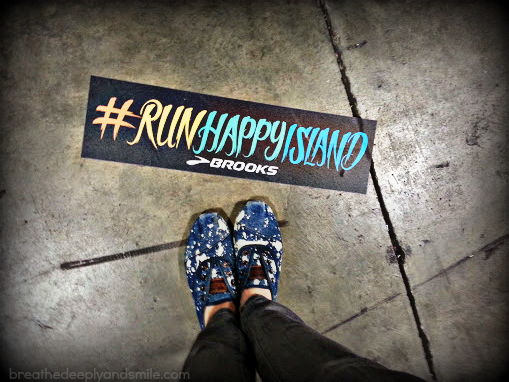 Brooks Running is a sponsor of the race series and had an awesome area called their Run Happy Island with a tiki bar to show off their shoes and some games. I was flying solo for this expo, so I had some time to walk around and check everything out. 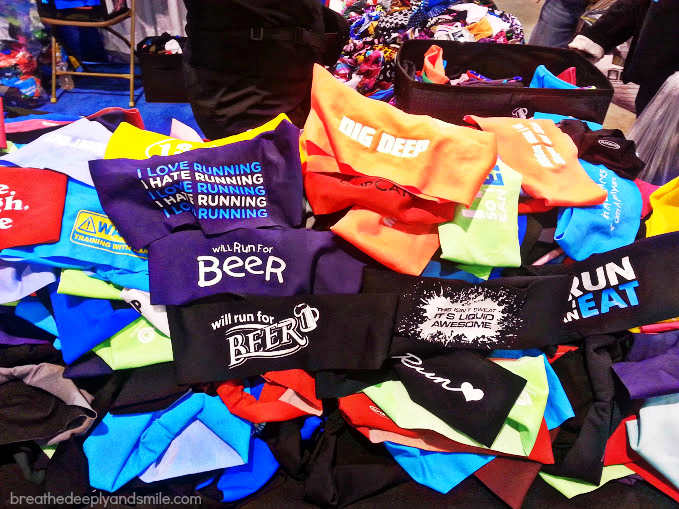 Of course I stopped at the Rock 'n' Roll Race Series booth as I dreamed of running a race abroad. 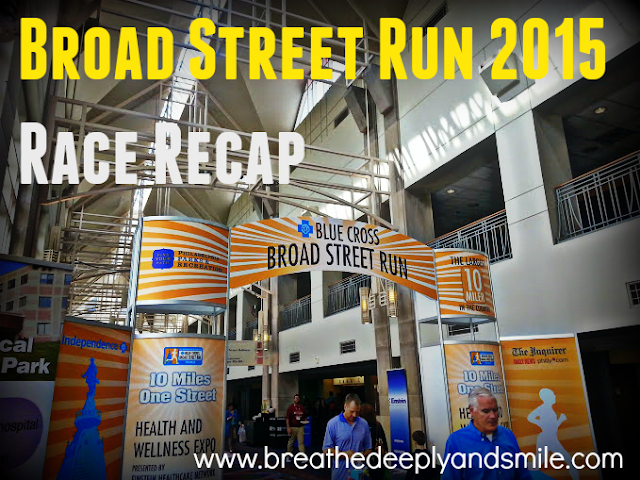 I am originally from the Philly area and got into running after I moved away so I was really excited to be able to run Broad Street for the first time . 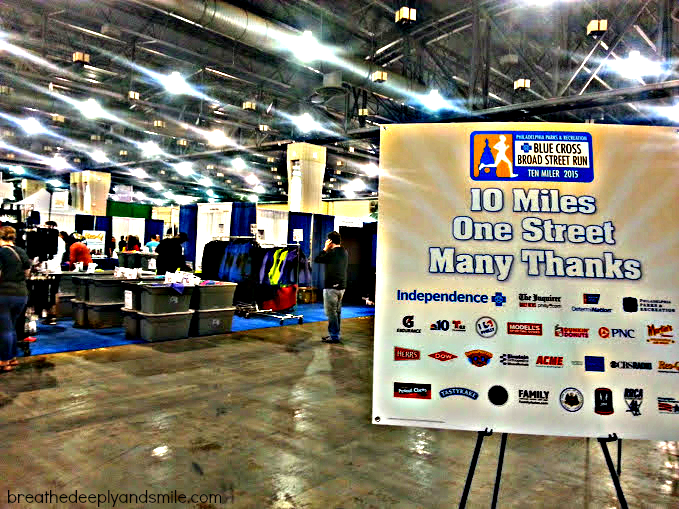 The Broad Street Run is the largest 10 mile road race in the country and is most definitely a staple of Philadelphia-area running. It's actually so popular now that they moved to a lottery system for entry a few years ago. It always falls near my birthday so I was excited to be able to run it and get in the lottery this year. Expo: The expo was a decent size and efficient. I didn't get the tech tee initially, but ended up buying a tech shirt vintage design from Modell's on sale while I was at the expo. They had it in the convention center so it was spacious but not overloaded with vendors. I'd like being able to go on a Friday afternoon and beating the crowds. I had just gotten back from a family vacation the day before so it was nice to be able to have a relaxed day in the city. Of course I stopped by the Bondiband booth to check out their designs. Remember you can always use my code BREATHEBLOG to save 10% on their website off their headbands compression socks, and more! Race: My boyfriend and I parked at the Stadium Complex at the start since it's a point-to-point race. We took the Septa train from there all the way to the start at the beginning of the line. They let runners ride for free to the start so even though it was packed, thank goodness there was no ticketing delays. The trains got very crowded, and it seemed that people in the middle of the line at stops couldn't get on. Once we got off, we parted ways as I made my way towards the corral. The weather was already quite warm so I immediately ditched my throwaway shirt as I entered the crowd of people. I was pissed that I wasn't even close to getting into my corral because it was too crowded. 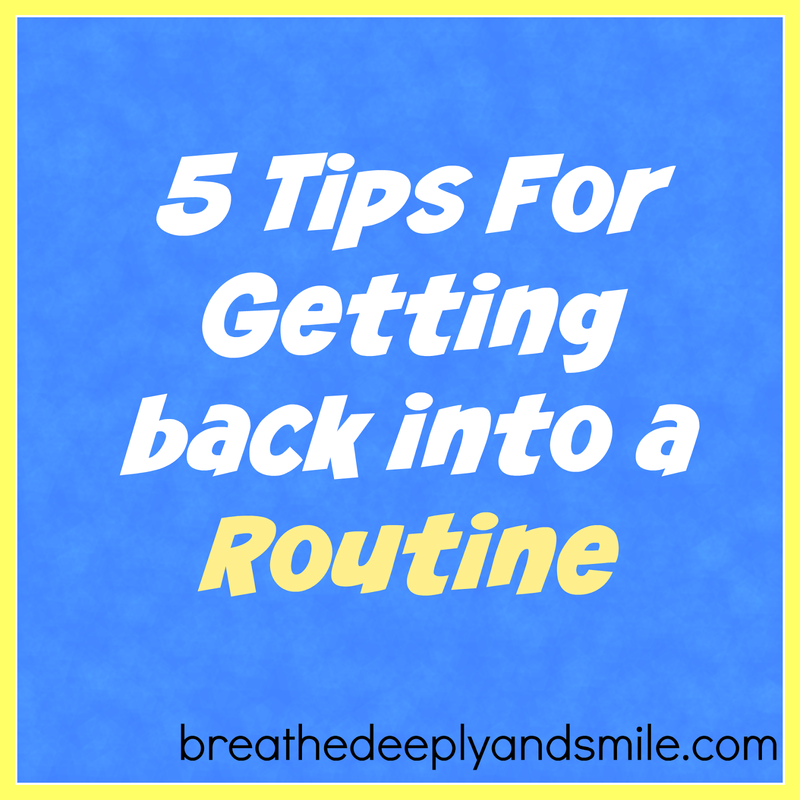 I thought it wouldn't be so bad since I was in the Orange corral which wasn't too far back. However, once the race started and my corral went I was able to get in pretty smoothly. It was amazing starting a race with 45,000 runners. The energy was amazing! Yes I've been hustlin', as always it seems. I'm still behind on blogging and have like 10 overdue race recaps. Life has been crazypants. 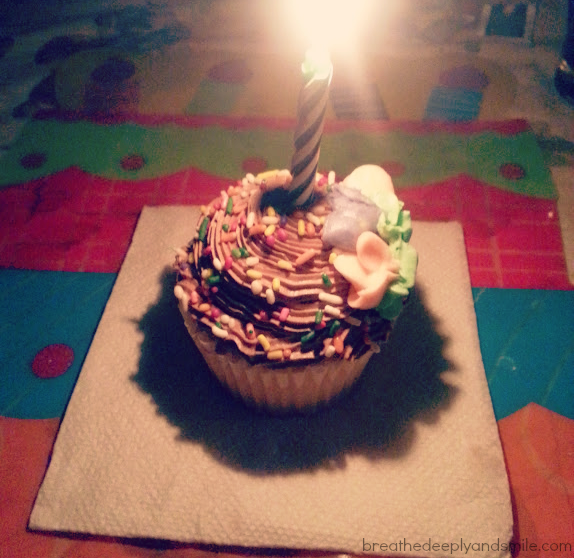 So here's some random thoughts and updates as for Thinking Out Loud Thursdays. 1. I've been so busy I can't even be bothered to put my socks on the correct feet, even though I'm not sure it makes a difference. Shout-out to my comfy Feetures! 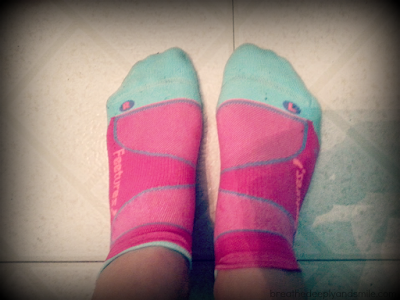 Running socks. 2. My birthday was pretty low-key but awesome. 27 is a pretty weird age to turn, but I'm trying to just focus on continuing to do awesome things. If "nobody likes you when you're 23" I don't know who likes you at 27, haha. The actual day involved a couple margaritas, a cupcake & some unpictured cannolis leftovers from when I was with my parents, and tacos with my boyfriend. Clearly eating is my favorite. 3. I also was really pumped to be sung to by the November Project Baltimore tribe after the workout a couple days after my birthday. It's the little things. It's also definitely how I talked myself into getting out of bed last Wednesday. 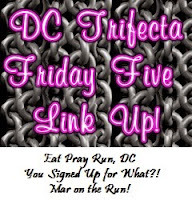 I obviously love sharing running & fitness love so today's DC Trifecta Friday Five linkup seemed like a perfect topic to discuss on the blog . Life is still cray and busy and I'm not caught up on life or even unpacked after my vacation, race, and birthday. Hoping to make some progress Sunday but if it's sunny outside, all bets are off! 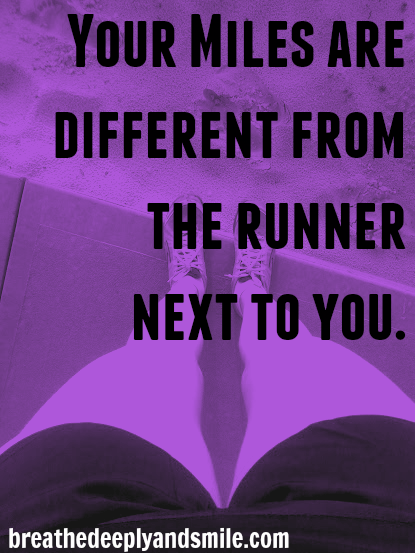 Whether you recruit friends to run with you or join a local running group, running with others is my favorite way to share the love. 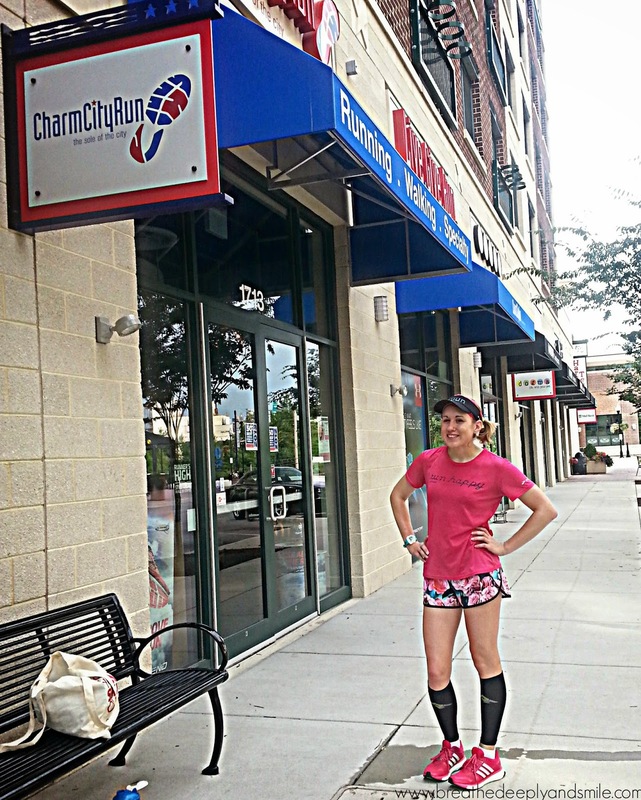 In Baltimore, check out local running groups through Charm City Run, a race training group like the Baltimore Women's Classic 5K training, join this month's Shake Shack Track & Field run, or drop in for a free November Project-Baltimore workout with me! People who sweat together, stay together! I love finding motivation, encouragement, and friends through connecting with others online. 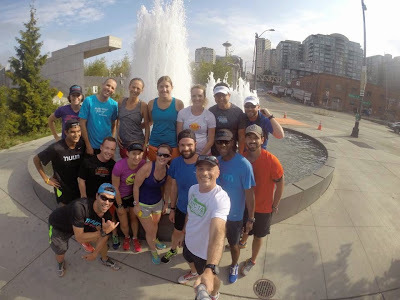 There are Facebook groups like the Half Fanatics, Twitter, blogs, and Instagram. 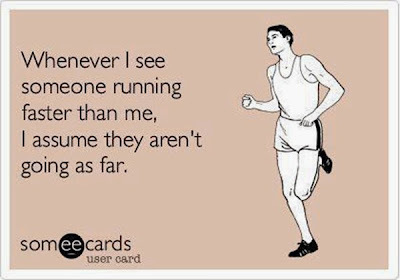 You can search for hashtags like #runchat, #run, #fitfluential to find some posts about running & fitness and be inspired! 3. Make it a date. 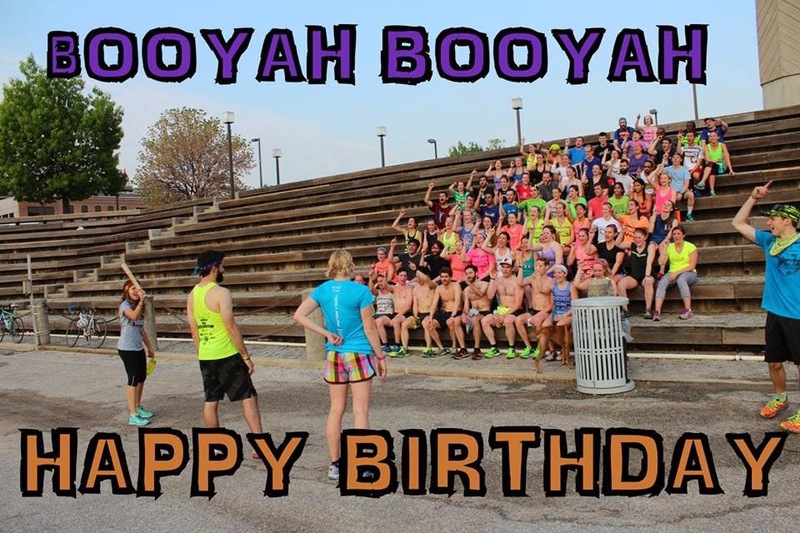 Life has been crazy with travelling, a family vacation, my first Broad Street Run, the BWC training group, and now my 27th birthday. Yep Cinco de Mayo is also a celebration of my day of birth, didn't you know? 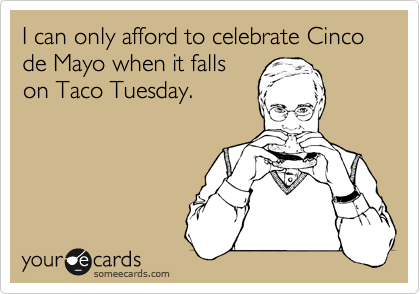 It also happens to fortuitously fall on Taco Tuesday. So go eat some guacamole and tacos tonight and think of me! I swear I'll eventually get all caught up-it just might take a few weeks! Yesterday my guest post went live on Chrissy's blog Snacking in Sneakers. 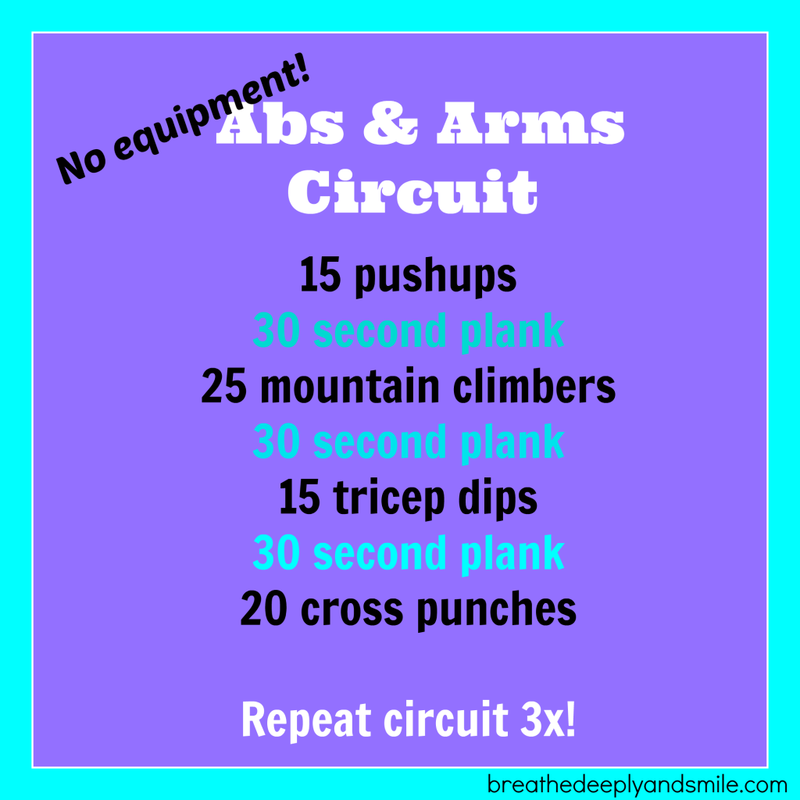 I shared an easy, no equipment at-home arms and abs workout so please check it out and share! I've run the Baltimore Women's Classic 5k the past two years in a row (2013 recap here) and love this all-women's race that takes over the Inner Harbor. 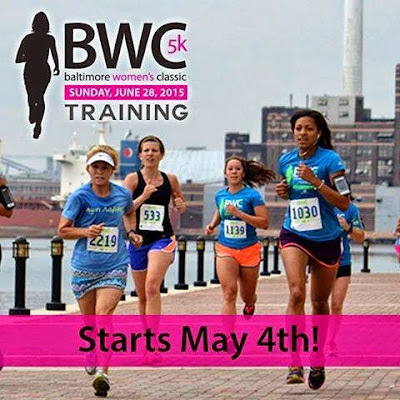 Besides being the mid-atlantic's largest all-women's 5K, the race is well-organized, always fun, and benefits the Cancerve which supports women cancer patients. This year is the race's 40th anniversary is taking place in Baltimore on June 28, 2015. I also love my local running store Charm City Run (CCR) and have participated in their fall marathon training group the past two years. 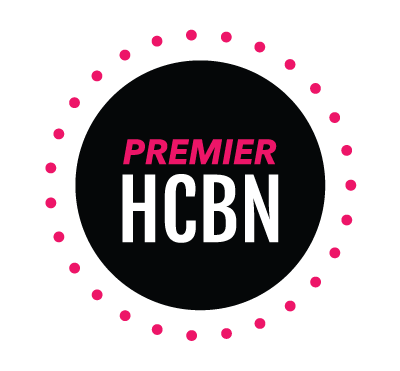 They do a great job of helping you follow a training plan, meet fellow runners, and learn specifics about running such as nutrition. 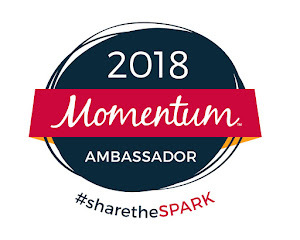 I am excited to say that I'll be volunteering as an assistant coach for Charm City Run's Baltimore Women's Classic Training Group that meets in Patterson Park starting tonight. The training program is in locations all across the area and is for anyone from a beginner or intermediate walker, walker to run, and beginning or intermediate runners. It doesn't matter if you have never run a race before or have never even run before! You also aren't obligated to sign up for the 5K if you so choose, although I highly encourage it. The weekly group runs will be once a week (day depending on the location of the group) from 6:30-7:30 PM. The program only costs $25 and includes the 8-week training plan, weekly group runs, a t-shirt, a 10% discount to Charm City Run and more! Register here online or just show up at 6:30 PM at any of the training locations this week and sign up in person! 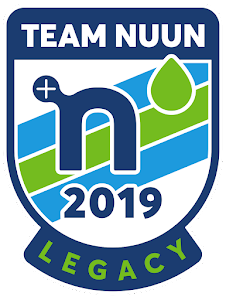 Grab your friends and come sign up for a fun way to get in shape this season and possibly run a great race (maybe even your first!). You can check out the race website or the Facebook page for more details. Have you ever joined a training group? 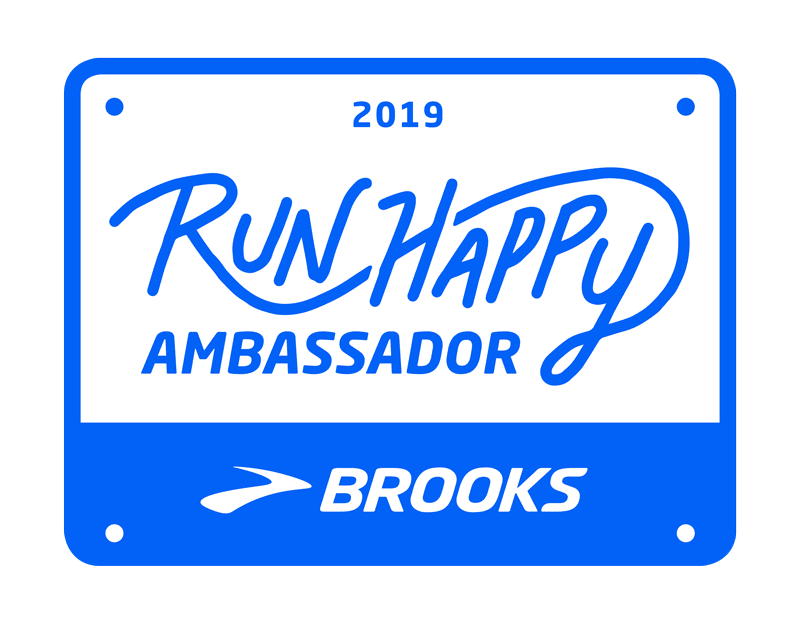 Have you run in an all-women's race? I loved this post Emily did so I decided to do my own version. This is of course the more insignificant annoying things to me at the moment. Serious issues like cancer, war,hate crimes etc. of course should not exist. There will probably be more posts like this because commiserating with others over annoying things is fun. 1. 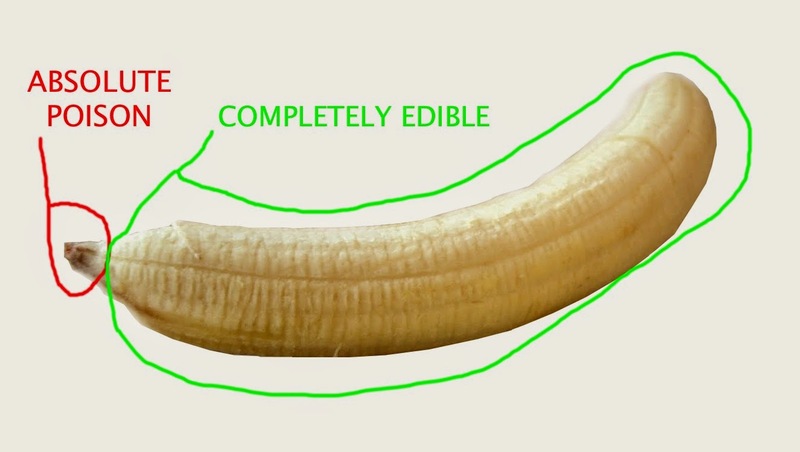 That evil little bottom part of a banana. It's a New Jersey thing. It's the best convenience store with delicious Icees, coffee, sandwiches, and snacks, 24-7. Thank goodness there are some in Maryland. 3. Drivers who sit in the left lane and aren't passing other cars. The left lane is not for doing right under the speed limit. It's why Netflix is the best. I hate interrupted television. 5.People confusing "their", "there" and "they're".